The Aleethia Foundation / In Honor of Matthew! 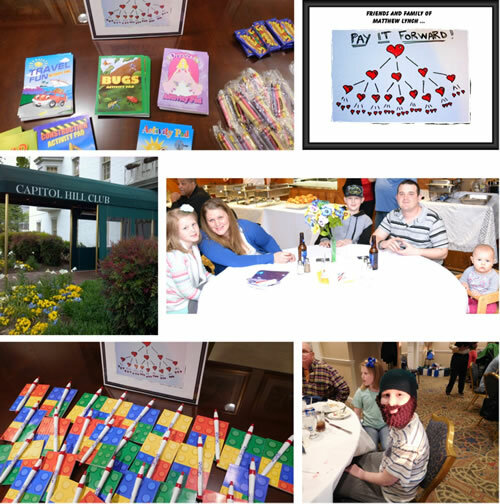 The Aleethia Foundation wishes to acknowledge the wonderful gesture of friends and family members of a service member’s son, Matthew in donating activity books, crayons, note pads, stuffed animals and more to be distributed to the children who attend Aleethia’s Friday Night Dinners. This simple act of kindness brings smiles to Matthew as he goes thru his medical treatments and is able to “Pay it Forward” to others.